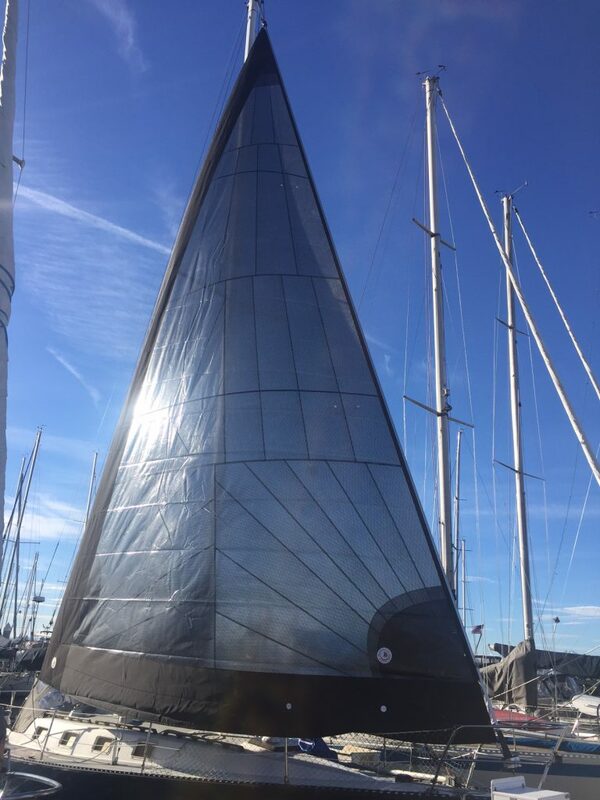 Finally received our new poly-laminate headsail! 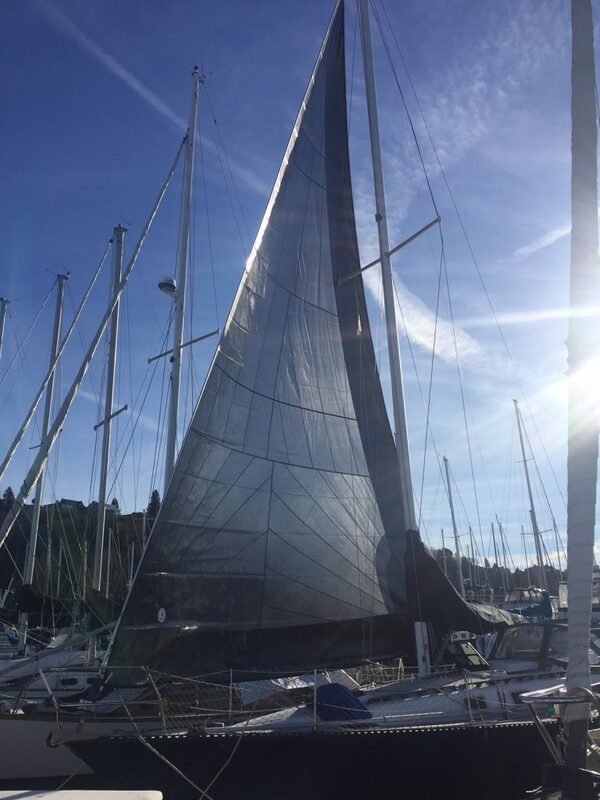 Robert ordered a headsail from Precision Sails (do not purchase from them) at the beginning of 2017. They promised to deliver it by May, in time for the 2017 racing season. They missed it, by months. It just arrive a couple days ago (Jan 2018). It is shorter than it should be and the foot is two feet longer than it was supposed to be, but it sure does look good up in the rig.